Vicola luxury transportation, a new entrant in the luxury transportation offers superior fleet in ground transport system for those who are addicted to luxury and style. It's committed to delivering only the utmost in class and disctiction in the area of elite transportation. 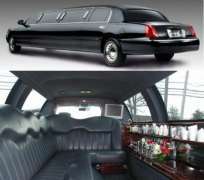 Vicola luxury transportation, the proud provider of Stretch Limousine, Jeep and other variety modes has become the next point of call for those seeking transportation for social events,weddings,airport pick up/drop offs and so much more. The American style luxury transportation, which Vicola transportation is fashioned after provides unalloyed bundle of services that will make their contemporaries grey with envy. Aside the unmatched and efficient service provided by Vicola, another area of concentration for Vicola that has always make their customers wanting to come back again and again is their good customer service couple with courteous and professional drivers who are going to beat your imagination in all ramifications. Victor Ayo Ola, the CEO of the elite luxury transportation is a native of Ilesha in Osun State. the American returnee who has just brought his wealths of experience in the land transport system for the delight of meaningful Nigerians is one of the guys in town whose efforts and support in turning Lagos a mega city has been immeasurable. You may ask how the company has been coping with the proliferation of luxury transportation in Nigeria; 'we provide the ultimate in comfort and convinience for our customers, the sky is big enough to accommondate millions of birds without chaos. Competition, to us, is healthy and shouldnt be a treat to any business it should be a yardstick to measure efficiency and professionalism. In the area of service delivery, we are are desirous of one fact that, our service surpasses the existing big names in the business as we make sure cusomers' satisfaction is our major concern.We are opened to corperate businesses and social clients' Ayo Ola said.